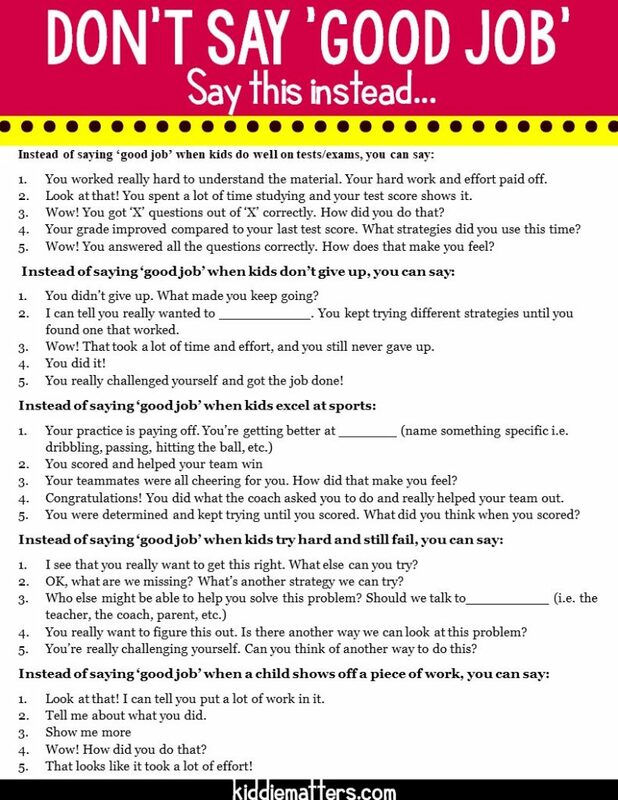 Inside: Why we need to stop praising kids and encourage a growth mindset instead. You’re so smart! Great job! You’re amazing! Many of us are guilty of lavishing these praises on children at one point or another. The self-esteem movement of the 80’s and 90’s encouraged praising kids. It was widely believed that doing so would boost children’s self-esteem. The belief at the time was all praise was positive. It didn’t matter if the praise was deserved or true. The emphasis was on making children feel good about themselves. However, current research shows that we had it all wrong. As it turns out, using empty praises such as, “you’re so smart,” does more to harm kids’ self-esteem than build it. I know. Mind. Blown. At least that was my experience when I initially learned of the harmful effects of praising kids with empty praises. Although praising kids for their abilities can make them and you feel good in the moment, research suggests that this kind of praise does little to improve children’s self-esteem. Below are some reasons why praising kids for their abilities often backfires. Many of us believe that when we praise kids for what they do we are motivating them. However, it’s much closer to manipulation. We often praise kids to get them to do what we want them to do. For example, when we praise a child for doing well on a test, it’s because we want them to perform just as well on the next test. Praising kids lets them know what behaviors we value and what they need to do in order to earn our approval. However, even if your intention isn’t manipulation, when you tell a child “good job” or “you’re so smart,” they learn to depend on your evaluation of them. You’ve essentially given them the blueprint for how they can please you. Kids get conditioned to seek other people’s approval. When we use praise to express to children that we are proud of them for something they did, they don’t get an opportunity to form their own opinions about their choices and accomplishments. Instead, they look to others to define for them what achievements are acceptable and unacceptable. This dependence on positive feedback can cause children to overly value what other people think of them. They learn to make decisions based on how they believe others will respond to them. Praising kids often leads them to define themselves based on their ability to excel at something. The downside of this is that when they experience failure or make mistakes, they have a hard time coping. Children who depend on praise to feel good about who they are, equate making mistakes to being stupid or lacking talent. They feel bad about themselves when they experience failure and have a hard time bouncing back. Praising kids for their abilities makes them focus on maintaining an image of “perfection’ at all times. Their goal is to always look good in front of other people. They feel they must always have the right answer and must make everything look effortless. They believe they have to maintain their praise worthy status. Often these kids avoid taking risks out of fear they will fall short. They make safe choices to ensure that they always come out on top. For instance, research indicates that children who are constantly praised are more cautious when they must answer questions in the classroom. When they do answer questions, they show less confidence in themselves. They are also more likely to give up when given a difficult assignment. What can you do instead of praising kids for their abilities? Research evidence supports the use of encouragement over praising kids. In a 2010 study conducted by Claudia Mueller and Carol Dweck, they found that when kids were praised for their efforts, they were more likely to complete challenging tasks than their peers who were praised for their intelligence. They also discovered that children who received encouragement were more likely to believe that their intelligence could change. They believed they could get better at doing something if they tried harder and used different strategies. On the other hand, the children who were praised for their intelligence, viewed intelligence as a fixed trait. If they weren’t born with intelligence, they felt they would never be intelligent. What Are The Benefits Of Encouraging Kids? When we encourage children it boosts their self-esteem and self-confidence. They learn that with hard work and effort they can accomplish anything. They are able to bounce back from setbacks because they are willing to learn from their mistakes and test out different solutions. Children who receive encouragement are willing to take risks. They believe in themselves and aren’t afraid to fail. Encouragement also allows children to be more self-aware. They are able to take stock of their lives and figure out what choices are right for them and how they want to show up in the world. They base their values on what’s important to them, not on what’s important to other people. Children who are encouraged are aware of their strengths and limitations. They don’t rely solely on others to recognize their progress and are able to celebrate their successes. These kids learn to be independent thinkers and are less prone to self-doubt. They don’t compare themselves to others because they are secure in themselves. When you’re use to praising kids with empty praises, using encouraging phrases can be a little awkward. Since saying ‘good job’ is a favorite praise among parents and caregivers, I developed a list of alternative phrases you can use instead of saying ‘good job’ or any other empty praise for that matter. You worked really hard to understand the material. Your hard work and effort paid off. Look at that! You spent a lot of time studying and your test score shows it. Wow! You got ‘X’ questions out of ‘X’ correctly. How did you do that? Your grade improved compared to your last test score. What strategies did you use this time? Wow! You answered all the questions correctly. How does that make you feel? You didn’t give up. What made you keep going? I can tell you really wanted to ___________. You kept trying different strategies until you found one that worked. Wow! That took a lot of time and effort, and you still never gave up. You really challenged yourself and got the job done! Your teammates were all cheering for you. How did that make you feel? Congratulations! You did what the coach asked you to do and really helped your team out. You were determined and kept trying until you scored. What did you think when you scored? I see that you really want to get this right. What else can you try? OK, what are we missing? What’s another strategy we can try? You really want to figure this out. Is there another way we can look at this problem? You’re really challenging yourself. Can you think of another way to do this? Look at that! I can tell you put a lot of work in it. Tell me about what you did. That looks like it took a lot of effort! 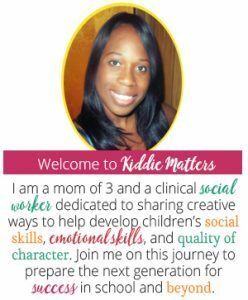 Gain access to the pdf printable above when you sign up for our monthly newsletter, The Social Emotional ToolBox. You’ll get resources to help children develop their social-emotional skills delivered right to you inbox. In addition, when you sign up for our newsletter, you also gain VIP access to our library of free social emotional resources! Sign up here. You can unsubscribe at any time!